In the UK, there has always been something of a stigma with country music, due in part to its image and the subject matter of a fair proportion of songs. Traditional country-roots is a varied pot with all manner of sub-genres such as bluegrass, Appalachian and Cajun being the most familiar terms. The Arhoolie Records label is as good a place as any to sample 'proper' American country as any. Later incarnations however, haven't been embraced as freely over here, although in the States and Canada, there is understandable partisan traditionalism towards donning a Stetson and enjoying a beer while cocking an ear in the direction of a Tex Wills, Hank Williams or Johnny Cash album. 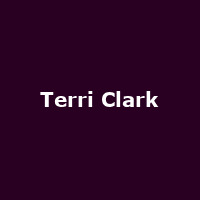 Better still, you should check out the slightly rockier tendencies proffered by Canadian singer, Terri Clark. Not a name that conjures up the same size of fan-base devoted to the likes of Dolly Parton, but consider this: Clark achieved three consecutive platinum albums during the '90s, both in the US and her homeland. All this translates into a fan-base of sorts and although she hasn't repeated the success of the early years, Clark's recent album 'Roots and Wings' managed respectable reviews and sales last year. The Canadian will embark on a short tour of the UK in June, part of a European jaunt, with a choice between Glasgow (23rd June), Manchester (24th), Birmingham (26th) and finally London's Borderline (28th). Prices are £15 for Glasgow and £16 for the rest.